From Don-isewman--A couple more pictures, and a ??? Thread: From Don-isewman--A couple more pictures, and a ??? Don, so good to see your work. Sorry I don't have any suggestions. But I love what you have done so far. Maybe a elongated diamond? Last edited by erstan947; 08-09-2013 at 06:03 AM. I am of no help, sorry!! Your work is so beautiful!!!!! or an elongated figure 8? 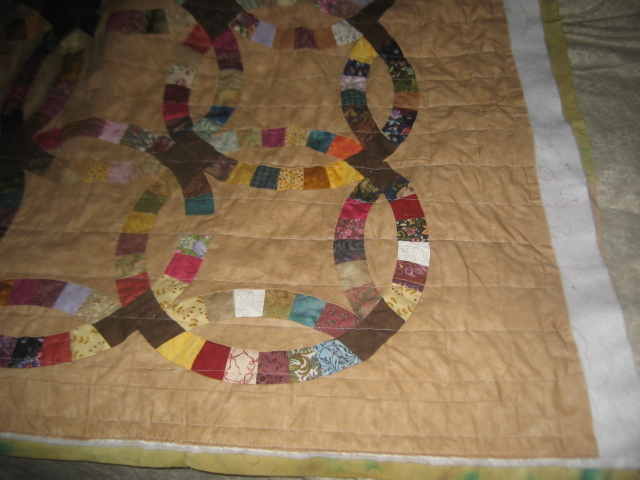 Wow, Don -- your center star quilting is great; looks very nice with the same stitching in the small pieces of the arcs. 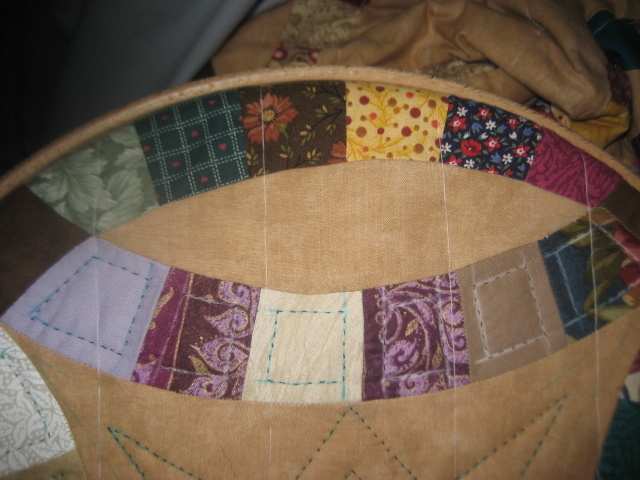 If you think it needs further quilting, maybe simply repeat the stitching you did on the smaller pieces, 1/4" around the inner edge of the eye shape. 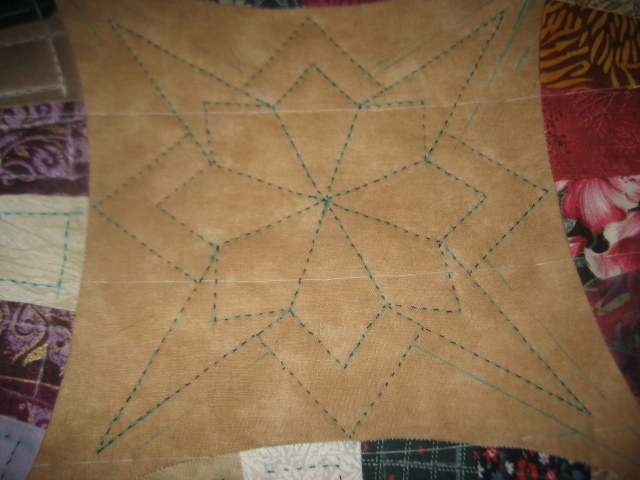 That would complement the wonderfully stitched center stars without competing with them. It's always inspiring to see your excellent work. Don, I have no input for quilting ideas, just has to admire your works in progress. As always a real treat! 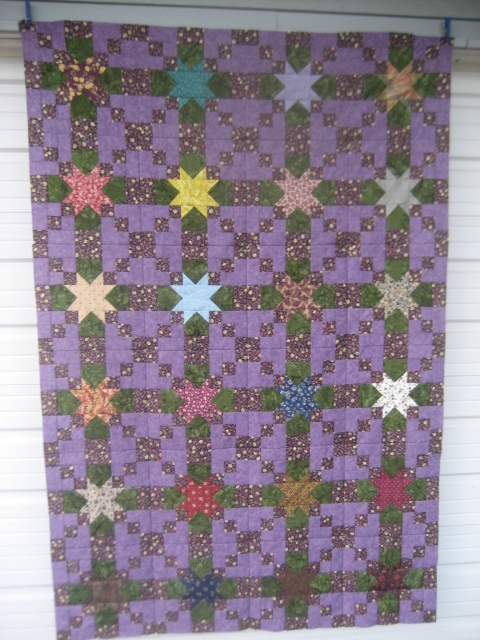 your hand quilting is perfect and I love the star quilt !!. You always do such beautiful work. I always get stuck on figuring out what to quilt so I am no help there. Beautiful quilts as usual Don. Your hand quilting is beautiful too. Great job. Your quilts and quilting are wonderful. I was thinking a section of what I would call intertwined rope, but I think this suggestion is a better description of what I was picturing. Oh, I love your perfect hand quilting. I love your quilts too. You are so good at all of this. Love to look at your work. Beautiful work, would love some of your talent. You never cease to amaze me/ Wow, that double wedding ring is spectacular! Been following your wedding ring quilt - nice squaring up! Love your quilting stitches and the addition you did to the template. Cross hatching in the eyes? 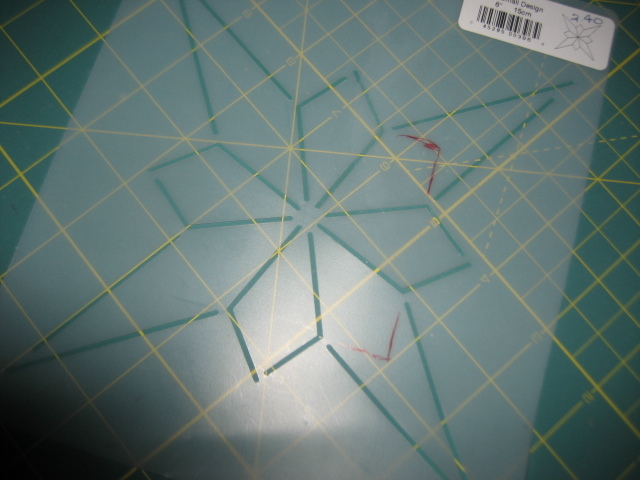 How about doing one of the long diamond blades from your stencil (the one with the inset little diamond)? Both quilts are beautiful !! The wedding ring would look fabulous in my living room. But I want the purple one!! I'm no help either as a newbie, but I do admire your work! Love the double wedding ring. Keep,up the good work! 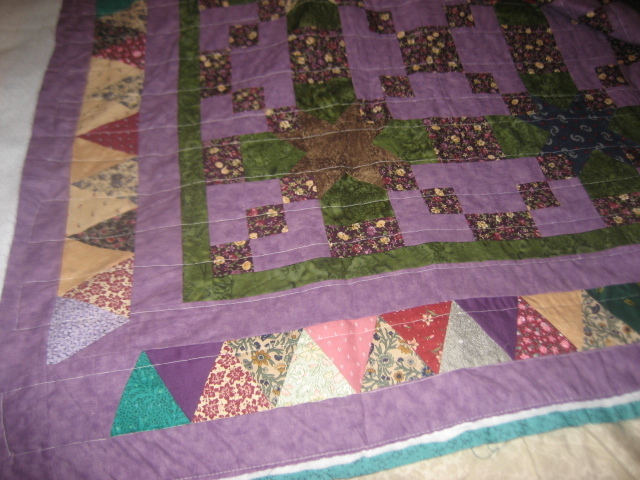 Both quilts are beautiful as always. I would just quilt 1/4" inside on the eye pieces. You don't want to take away from that beautiful star design you've done. Your hand quilting is amazing. Such precision and such patience!